This page lists various associations the parish of Loudoun (which includes the villages of Darvel and Newmilns) has with the Covenanters. In the museum John Morton's sword is on display. This was used at the Battle of Drumclog. 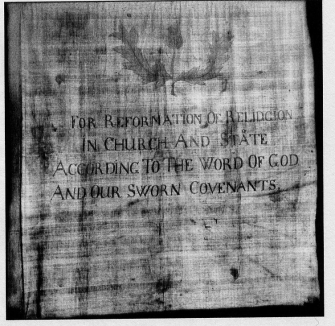 At one time a flag associated with the Covenanters of the parish existed. The whereabouts of this is now unknown. Located north of Galston, this was the original parish church of Loudoun. Adjoining the church ruins is a memorial to Thomas Fleming, killed at the Battle of Drumclog. 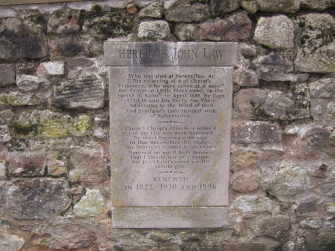 The tower was used as a garrison during the time of the Covenanters and was stormed by them John Law was killed in this incident, and a memorial on the wall surrounding the tower commemorates him.